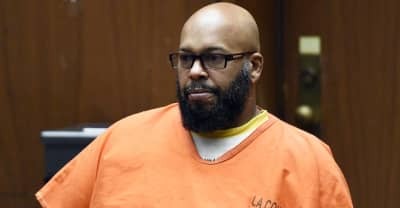 Death Row Records co-founder Suge Knight has been sentenced to 28 years in state prison. Knight reportedly threatened F. Gary Gray via text message. 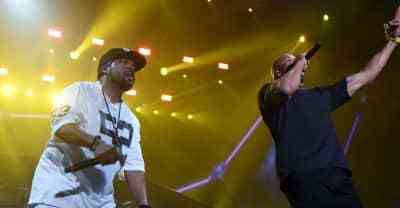 Former Death Row Records CEO Suge Knight is claiming that Dr. Dre tried to have him assassinated. The wrongful death lawsuit brought by the family of Terry Carver will not include Ice Cube and Dr. Dre. Lifetime releases teaser for Michel'le biopic Surviving Compton: Dre, Suge & Me. Terry Carter's widow alleges that Universal Studios and the producers behind the NWA biopic Straight Outta Compton are responsible for his death. Knight collapsed after hearing his bail was to be set at $25 million. The mogul told the court his deteriorating sight meant he couldn’t “really comprehend” proceedings. Evaluated for stomach issues and missing an arraignment. He’ll be held in jail without bail for the next six weeks. The mogul is facing murder and attempted murder charges over a hit-and-run. L.A. Sheriff’s Dept. considers Knight a flight risk.